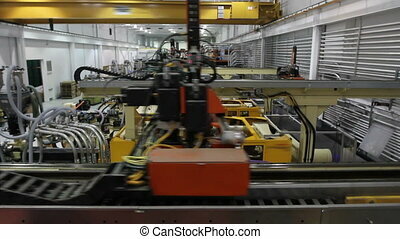 Factory machinery tracking shot. 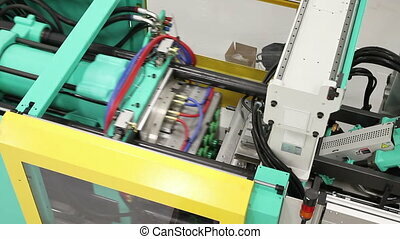 Tracking along a factory floor from a high angle, showing multiple large injection molding machines. 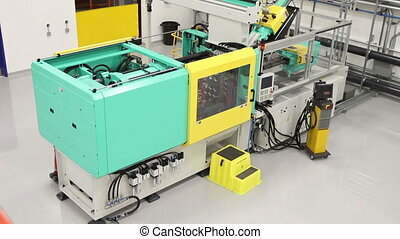 Tracking along a factory floor from a high angle, showing multiple large injection molding machines. 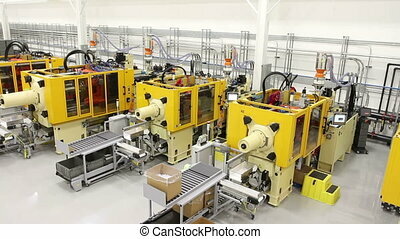 Crane shot in a clean factory, showing multiple large, industrial injection molding machines. 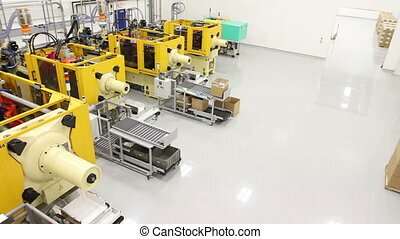 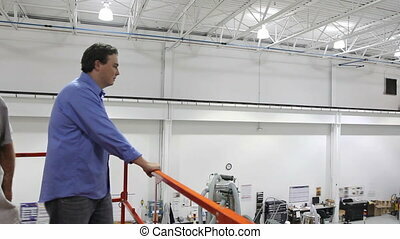 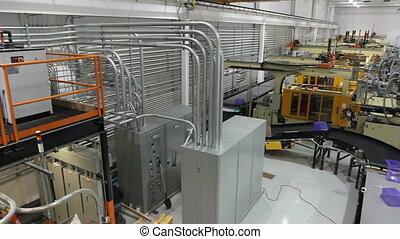 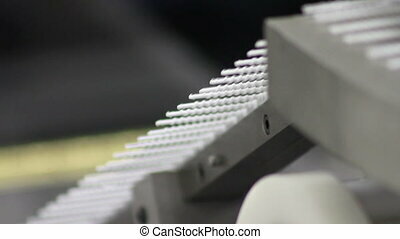 Tracking along a factory floor from a high angle, showing multiple large injection mold machines. 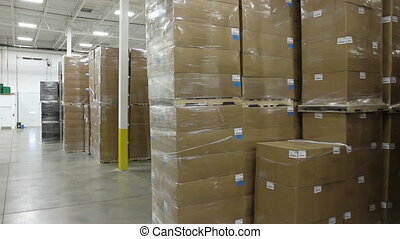 Tracking shot, moving through a factory warehouse with stacks of boxes. 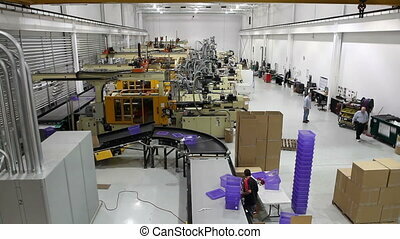 A wide shot panning across a large assembly factory. 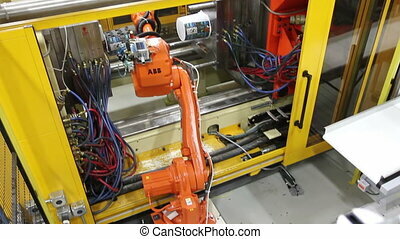 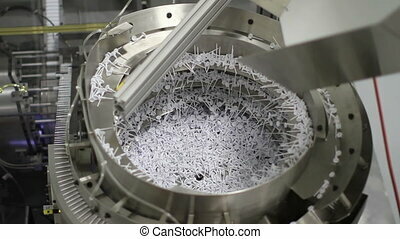 High angle shot of a robotic arm reaching into an injection mold machine, grabbing the product and carrying it over to a labeler. 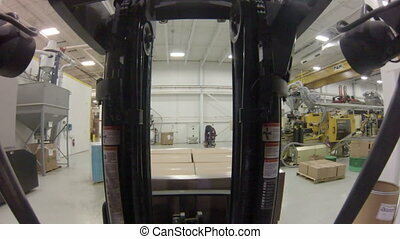 Point of view shot from inside a forklift, as it lifts a palette of boxes and moves it from the factory floor to the warehouse. 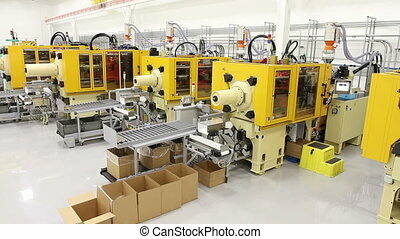 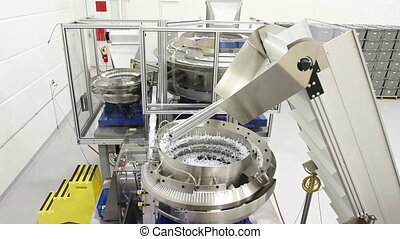 A wide shot of an entire robotics assembly plant in motion.